Every year, several students from Ateneo de Manila University in the Philippines take the opportunity to come in Nara to take a grasp of research at NAIST in particular, and life in Japan in general. This experience helps them to decide if they want to enter NAIST in the future, after their undergraduate or master’s course. We interviewed one of the interns (who prefers to remain anonymous) to know more about how the Filipino interns spend their time at NAIST. In spite of being a Japanese graduate school, there are some extracurricular activities going on on campus. 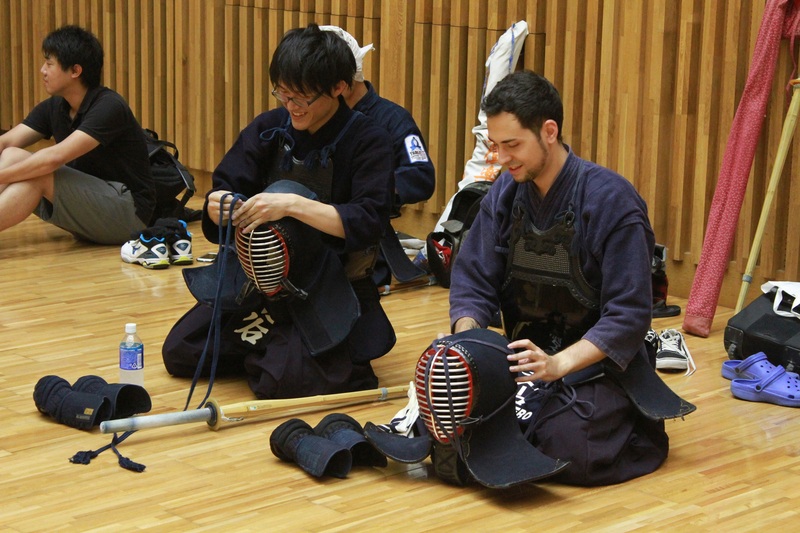 This time VSP introduces you to one of the more traditional ones, NAIST Kendo Club. Kendo, or Japanese fencing, is a martial art that literally means “the way of the sword”. Practitioners wear an armor and try to strike the opponent correctly in duel matches. It is practiced by people from all ages around the world. 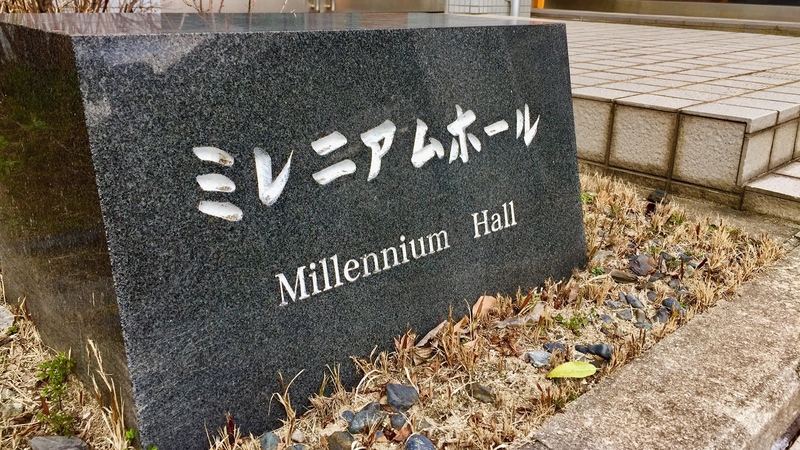 On January 13, the annual Job Festa took place at NAIST in the Millennium Hall. This event is aimed to NAIST doctoral students and postdoctoral researchers who are interested in doing research for a company after graduating. The attendees could freely walk around the booths and talk with the employees of 20 different technology companies for about three hours. With a student body consisting of roughly 20% international students, the NAIST campus fosters a global and vibrant culture. 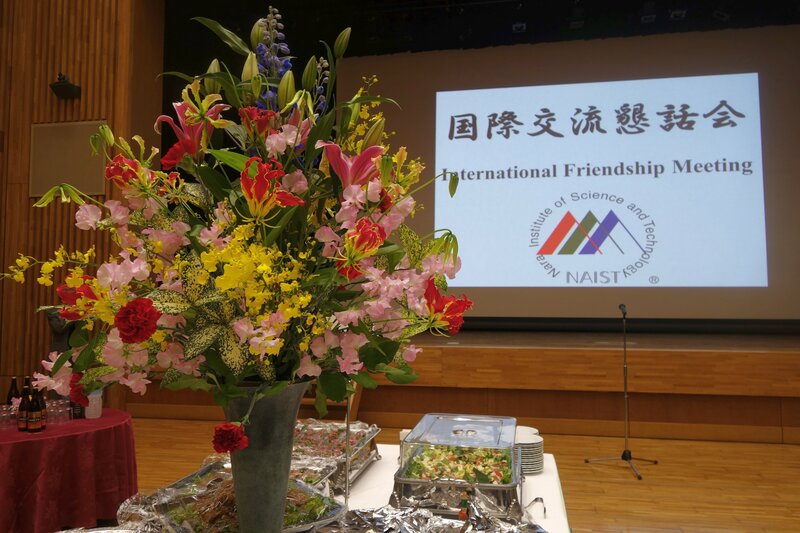 NAIST celebrates its diverse student body with an annual International Friendship Meeting. The NAIST Tea Time is an opportunity to connect with faculty, staff and students across the whole campus. 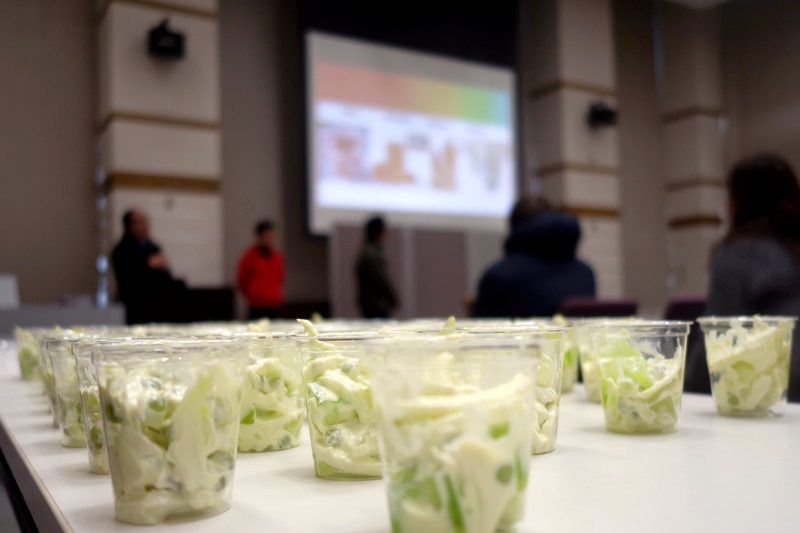 This time, guests enjoyed Buko Pandan, a traditional Filipino dessert, and played Fukuwarai, a traditional Japanese New Year’s game. I am Robovie, may I help you? 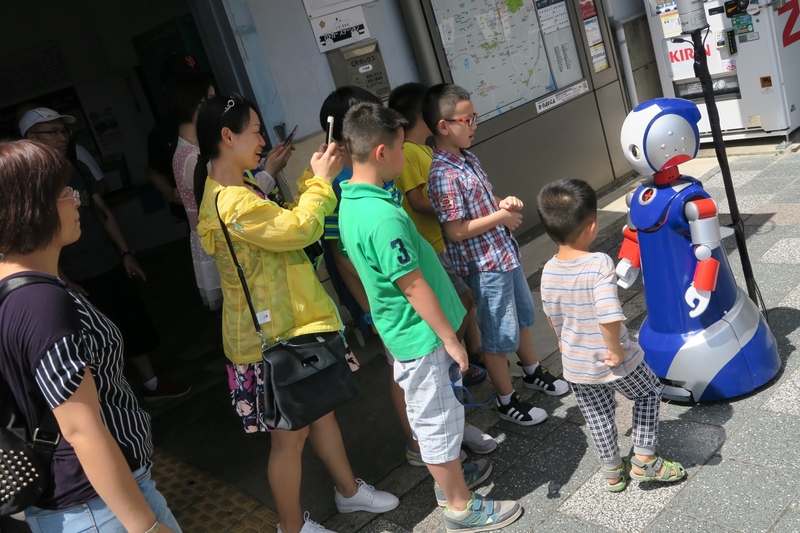 Advanced Telecommunications Research Institute International (ATR) solicited help from NAIST students to conduct an experiment with tourists visiting Iga, Japan. Bikes are one of the healthiest and cheapest transport options around. 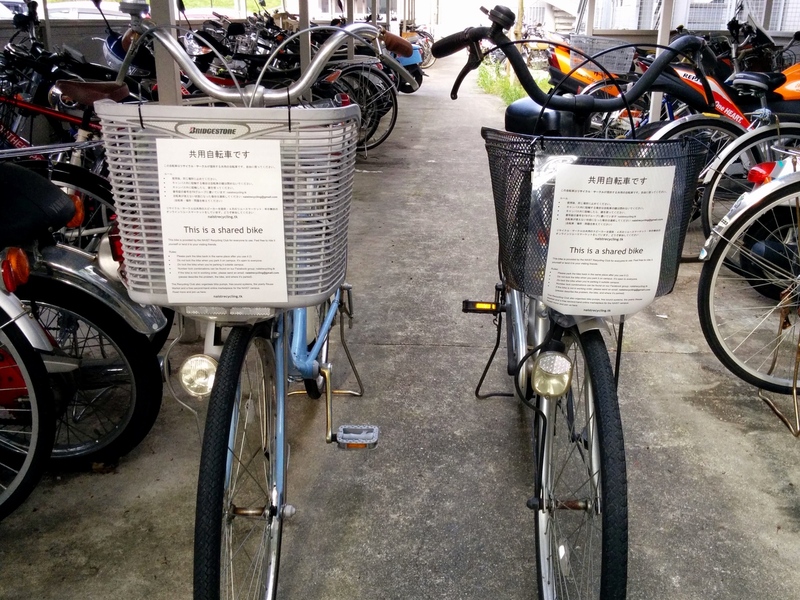 However, exchange students often cannot afford to buy one for a short stay, and regular students may have a bike with a flat tire that they cannot or do not have the time to repair. That’s when the NAIST GSK Recycling Club comes into action. 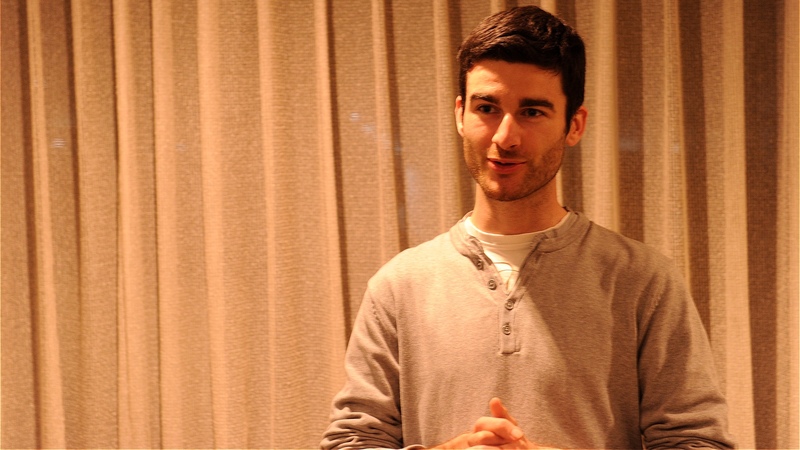 VSP met with Cédric Abiven, a French Intern at the Robotics Laboratory. It was the opportunity for him to share is impressions on his 6-month stay at NAIST and about Japan in general. 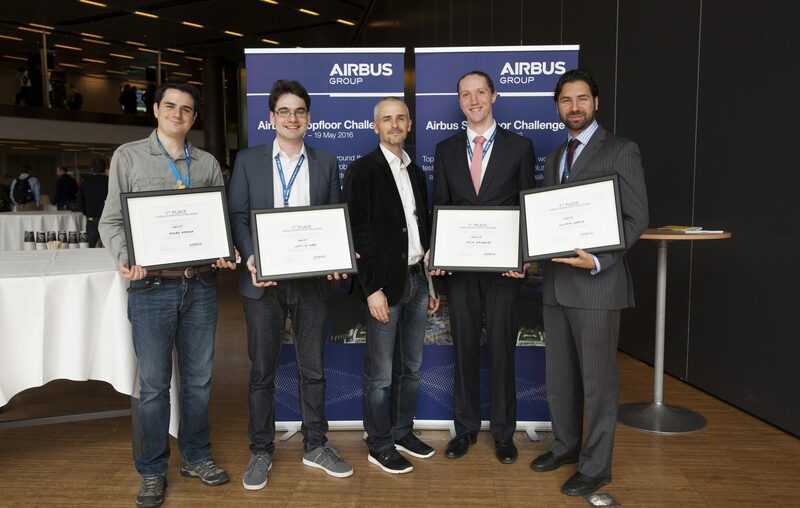 Felix von Drigalski, Doctoral Student at the Graduate School of Information Science and leader of Team NAIST (Dr. Gustavo Alfonso Garcia Ricardez, Lotfi El Hafi and Pedro Miguel Urigüen Eljuri), tells us about their robot design, unforeseen challenges, and working together to find a solution to prepare for the Airbus Shopfloor Challenge at ICRA 2016 in Stockholm, Sweden. This story was originally featured on Robohub. Please follow this link to access the full original story as well as more photos and videos. 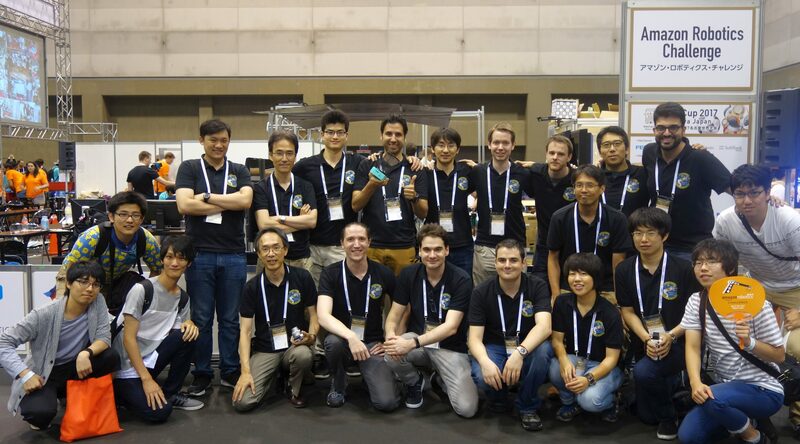 As the only Japanese team to proceed to the final round of the Amazon Robotics Challenge, Team NAIST-Panasonic obtained 6th place between 16 contenders from all over the world. In this post, the team tells their story.